Hand blown glass art icicles hang across bustline, and swirling winter winds of handblown glass art adorn the torso. Foundation is handmade corset of black tafetta with lightweight boning for structure. Decorative piece, not intended for waist training. 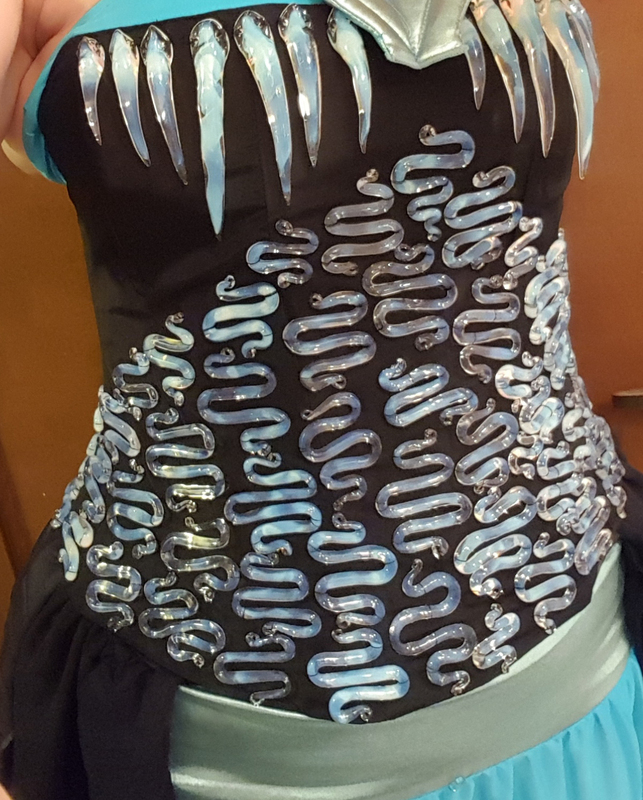 Complete couture wearable art costume includes matching necklace with 3 glass icicles, as well as a layered bustle skirt with open front. BONUS: Features black light reactive glass!